Luxion strengthens its real-time rendering and lighting simulation focus with patent on industry leading HDR technology. Tustin, California, January 14th, 2016 – Luxion, a leading developer of advanced rendering and lighting technology and maker of KeyShot®, the first real-time ray-tracing and global-illumination program for 3D rendering and animation, today announced granting by the USPTO for the patent of key rendering technology. The patent for “Live editing and integrated control of image-based lighting of 3D models” strengthens Luxion’s focus on providing cutting-edge technology in creating high quality visuals. The full text of the patent can be seen here. After first filing for protection of the intellectual property on March 2012, Luxion’s integration of high dynamic range (HDR) image editing within KeyShot provided users of the software the ability to edit an HDR image, which represents omni-directional, real-world environment lighting, by easily adding and adjusting lights while seeing the results instantly in real-time within KeyShot. 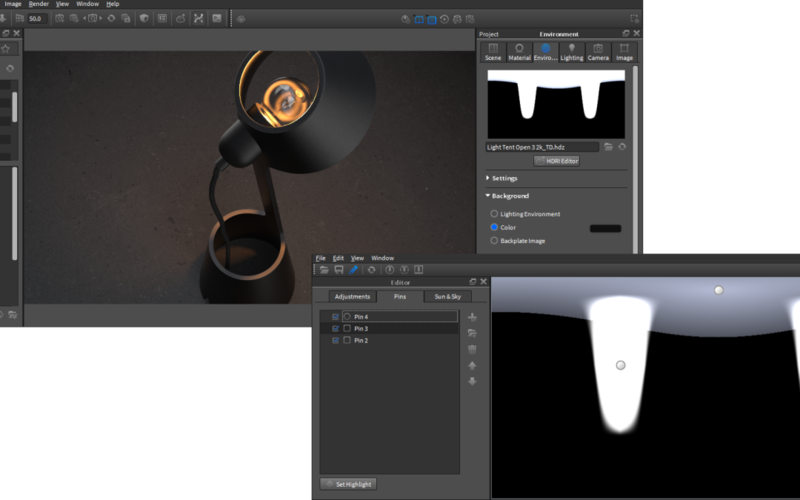 Additionally, users are able to modify the HDR image, adding highlights to their model, by simply selecting the area of the model to be lit. This patent is added to three of Luxion’s current patents for material templates for automatic assignment of materials, animation of 3D models using offset transforms and the rendering of interactive 3D model representations. KeyShot is the fastest real-time rendering solution with advanced lighting capabilities, and is positioned in the industry as the most accurate and easiest to use 3D rendering and animation system for all visualization needs. With CPU-based speed and workflow integration that bests the competition, the ability to create high quality visuals for product design, automotive, engineering, architecture, entertainment and marketing cannot be beat. To experience KeyShot, please visit keyshot.com.